Candi Clouse works for the Center of Economic Development at Cleveland State University. She is one of four people on a team known in northeast Ohio as one of the big players for economic impact analysis. To put it simply, having Cleveland State on the report lends authority to the results. Ohio, a gem of the midwest, is filled with resilient sports fanatics, people calling soft drinks “pop,” and, more specifically, a film industry that continues to generate positive economic impacts in the Buckeye State. Greater Cleveland is home to "The Avengers" filming location, which was the industry’s third-highest grossing film of all time with $1.5 billion in box office sales worldwide and a budget of $220 million. 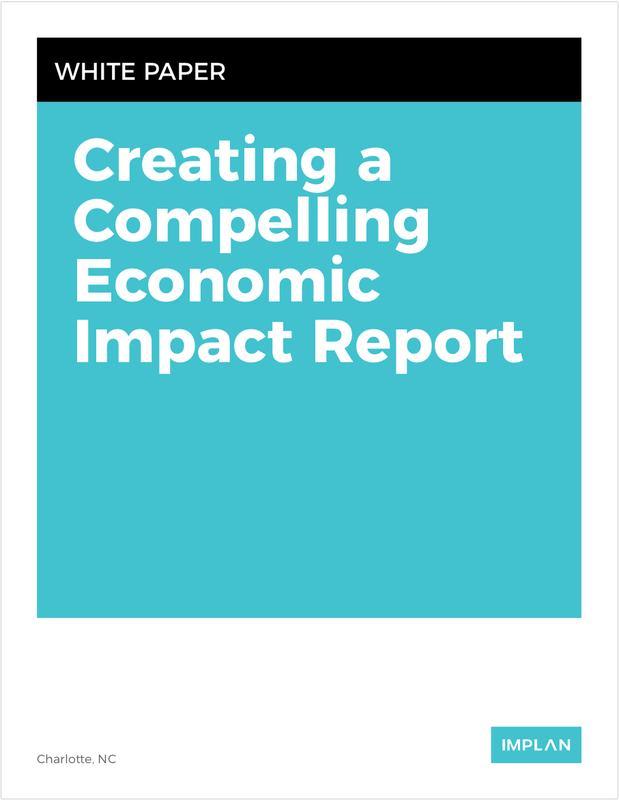 Candi Clouse sat down with us to discuss her favorite economic impact analysis study to date. IMPLAN: Which study has been your favorite? CANDI: The work on the Ohio Motion Picture Tax Credit. CANDI: We were approached by the Greater Cleveland Film Commission which had, at that time, a relatively new CEO. We were in the first two years of state funded tax credit program. He really wanted to make the case to renew that funding and hopefully, in fact, increase that amount of funding that was available from the state. That is actually what the data was used for. That first study, when it was released, representatives from the Greater Cleveland Commission and the Cincinnati Commission, and Data on Film Commission presented [the study’s findings] to the legislature on what the impact was of the tax credit on the state. It was really very fun. While executing the ‘Ohio Motion Picture Tax Credit,’ Candi looked to the work of other states to take into consideration as she was forming her own analysis and shaping her assumptions. For instance, Candi noted that you begin with throwing out the outliers such as California and New York. States like these were outliers because the economies are so much larger than Ohio’s. They have had long-established industrial cinema activities. Therefore, for the Ohio study, they focused on midwest states such as Illinois and Michigan. When Ohio’s tax credit went live, Michigan’s tax credit dropped immensely. Films that were previously set to film in Detroit flipped locations to film in Cleveland because the industry was following the tax credit. IMPLAN: So that must make the tax credit programs from state to state pretty competitive I must imagine? IMPLAN: Do you see that the legislators were specifically interested in competing against places of their type? For instance, Pennsylvania and Michigan? CANDI: No, they were actually most interested in being told about the Ohioans that are working on these. They wanted to be able to tell the story to their constituents. That they supported this because... people in Ohio were being put to work. With legislators most interested in the people behind the data, Candi and her team shaped the results to present in this context. The analysis report was supplemented with short case studies which Candi and her team referred to as vignettes. These vignettes spotlighted the companies that had seen a benefit from the filming of "The Avengers." The vignettes also illustrated the immense impact companies experienced during the two months of filming. For instance, business owners explained that during those two months they had made the same amount as the entire previous year. They were hiring more people to do more things and growing their business. IMPLAN: Were their some surprises when working on that analysis and research? CANDI: I think that when looking at the data you realize that they do spend a lot of money—and fast. And it’s not all on the big talents. They are buying tons of food on the ground and looking for local vendors. Things you don’t think of when looking at the film industry, like street cleaning. Businesses that you wouldn't think would make a lot of money off of filming did amazingly well.